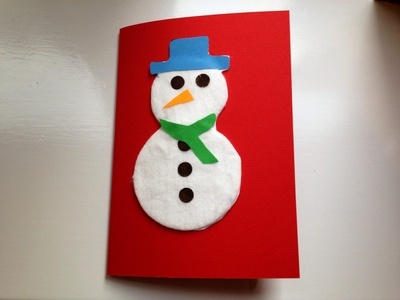 Here's a fluffy snowman to make a homemade Christmas card or festive window decoration. 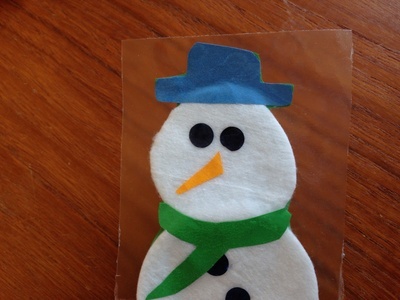 Trim one of the cotton wool pads into a smaller circle to make the snowman's head. Stick on small black stickers for eyes and buttons. You could also cut these out of paper and glue on. 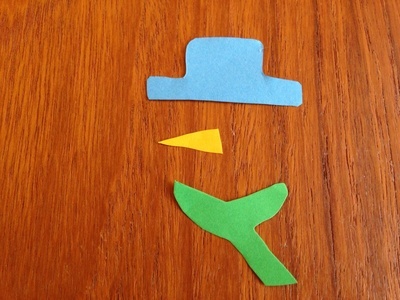 Cut out a hat, scarf and carrot nose shape from scraps of colourful paper. 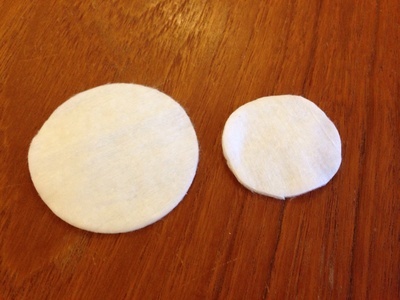 Glue the cotton wool pads into a piece of card, with the smaller circle on top for the head. Stick on the hat, nose and scarf with glue. If you're using a glue stick, make sure you apply the glue onto the paper components rather than directly onto the cotton wool pad. 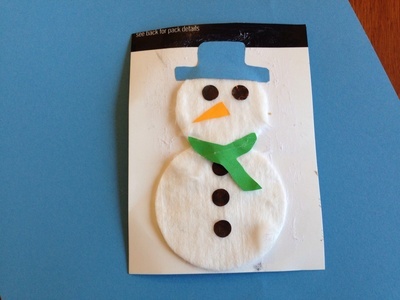 Trim round cardboard to get your finished snowman. 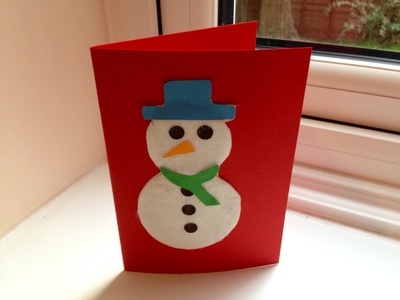 To make a Christmas card, stick the snowman onto a blank card. 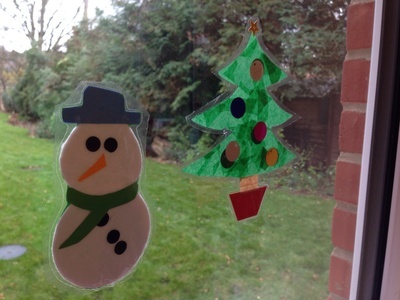 To make a window decoration, stick a piece of sticky back book covering onto the snowman (sticky side onto the front of the snowman). Trim round the edge, leaving a sticky border of about a centimetre. The snowman will then stick to the window by pressing the sticky border to the glass.